Dalhatu A*,Abubakar Sa, Mijinyawa MS., Hamza R .Mahfuz M.H., Fatima MA. Neonatal mortality rates remained a public health problem in developing nations, especially in sub-Saharan Africa heavily associated to poverty and poor access to health service. Identifying the etiology of neonatal mortality is a strong indicator to decreasing the neonatal mortality rate in Nigeria. Nigeria continues to have one of the highest rates of neonatal deaths in Africa, therefore, this study aimed at identify risk factors associated with neonatal death in North- Western Nigeria. A retrospective survey was employed for the study and an adapted World Health Organization instrument was used for data collections. A sample size of two hundred and fifty five was employed for the study. The subjects were recruited from hospital records department of Aminu Kano Teaching Hospital. The data were analysed using descriptive and inferential statistics The results showed that the maternal socio-demographic variables associated with neonatal mortality are; poor antenatal visits and low socio- economic status. The study also revealed, sepsis, prematurity and asphyxia in decreasing frequency as the leading causes of neonatal death with sepsis being the independent determinant of neonatal mortality P<0.05. 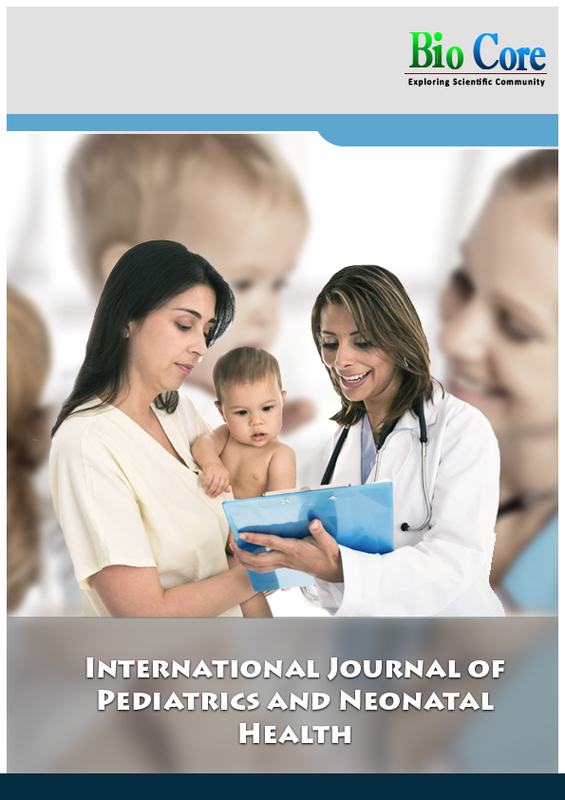 The study concluded that, sepsis being the independent determinant of neonatal mortality and therefore, it is recommended that there is need for improved obstetric services, monitoring and evaluation with frequent reporting on the major determinants of neonatal mortality to the hospital management. Comparative Study of Analgesic Effect of Breast Feeding Versus Dextrose During Heel Lance in NeonatesGurmeet Singh*, Anuradha Behl, Anand Kumar Bhardwaj. Aim: Firstly, to assess the level of pain in newborns enrolled in the study, after heel lance. Secondly, to determine the effect of oraldextrose solution and breast feeding on procedural pain in newborns in the experimental group. Material and Methods: The index study was conducted in neonatal nursery of tertiary care teaching hospital [MMIMSR,Mullana]. The participant cases were neonates with gestational age 34 weeks to 42 weeks who were on partial or complete breast-feeding scheduled for routine newborn screening blood test via heel lance (n 106). Neonates were randomized into 2 groups for analgesia, i.e. breast-feeding and 25% oral dextrose solution. The research variables include independent variables (oral 25% dextrose solution and breast feeding).The dependant variable was procedural pain (heel lance) in neonates. PIPP (Premature Infant Pain Profile) score was the primary outcome variable. PIPP score includes two physiologic indicators of pain (i.e. heart rate and oxygen saturation), three behavioral indicators (i.e. brow bulge, eye squeeze, and nasolabial furrow); and two contextual factors (i.e. corrected gestational age and behavioral state).Higher the score greater the pain. PIPP score was assessed before giving the stimulus and again at 30 sec after the stimulus. Results: In breast feeding group 89.8% children had no or minimal pain. In dextrose group maximum children 73.7% had experienced mild to moderate pain. In dextrose group 94.8% children had minimal to moderate pain, with 3(5.3%) having severe pain. But 44(89.8%) children having no or minimal pain in breast feeding group, 10.2% suffered from mild to moderate pain. None of the children in breast feeding group showed features of severe pain. The mean pain score of 9.7 and 4.7 in dextrose and breast feeding groups respectively proves significant difference (p-value 0.000) was found in them. Lesser mean score in breast feeding group signifies the importance of breast feeding during painful procedures as compared to dextrose. Conclusion: Both breast feeding and 25% oral dextrose solution have analgesic effect during heel lance but breast feeding proved to have significantly superior analgesic effect during heel lance among neonates in comparison to dextrose. 25% oral dextrose solution or preferably breast feeding should be considered as pain-control measures for the neonate during heel-stick procedures.